Summer in Denver abounds with fun opportunities: Rockies games, festivals, farmers markets, outdoor movies and parks that cover 4,000 acres of the city. Denver is consistently named one of the healthiest cities in the country, and its easy to see why especially when you factor in its robust health care system of 12 hospitals, dozens of safety net clinics and nearly 3,500 doctors. Despite outward appearances though, the data show that Denver residents are actually in worse health. In fact, the data on Denvers population in general is quite striking. Overall, a higher percentage of Denver residents have a college degree than statewide; however, the percentage of those without a high school degree is also higher than the state average. Compared to Colorado as a whole, more Denver families earn over $150,000 a year, but more Denver families also earn less than $15,000 a year. Not only is Denver socioeconomically diverse, but it is also diverse in the more traditional terms of race and ethnicity 30 percent of Colorado residents are a racial or ethnic minority compared to 48 percent of Denvers residents. Denvers significant diversity is reflected in data as inequality, and specifically a much higher degree of inequality relative to the rest of Colorado. Studies have shown that inequality can lead to worse health outcomes; in Denver, 19 percent of the population is in fair or poor health compared to 15 percent of all Coloradans. Additionally, 19 percent of residents do not have a usual place that they get their health care needs met and 18 percent have delayed seeking medical care due to the cost both above the statewide percentage. Considering the large number of health care facilities in Denver and that almost a quarter of all Colorados doctors practice in Denver, it is concerning that residents are still having a more difficult time accessing important health care services. Perhaps most concerning is the ultimate effect this inability to access the health care system is having on the life expectancy of Denver residents. The overall life expectancy of Denver residents is just short of 76 years, which is three fewer years than in Arapahoe County, four fewer than in Douglas County and over five fewer than in Park County. This disparity exists across the entire age spectrum. The rate of infant and child mortality in Denver is significantly higher than Colorado as a whole. After adjusting for different age distributions between counties, Denver adults are also significantly more likely to die before the age of 75 than the average Coloradan. It is clear that Denver offers many resources and has many residents whose circumstances give them a good opportunity to live a healthy life; however, at the same time, many residents are doing poorly and are facing difficulties accessing the resources they need. As residents of the state capital and the largest city in Colorado, we have a great responsibility to work together in understanding what is keeping Denver from achieving a higher standard of good health. The challenges faced by Denver are likely the same ones that can be found throughout our other metropolitan areas, both statewide and nationally; with a concerted effort, we can become a model of success with equal opportunities for health. 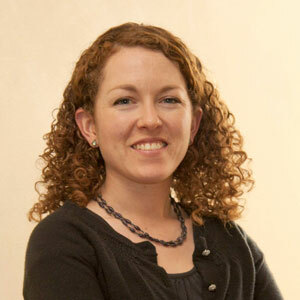 Aubrey Hill is the director of health systems change at the Colorado Coalition for the Medically Underserved. Access the infographic at www.ccmu.org/denver.